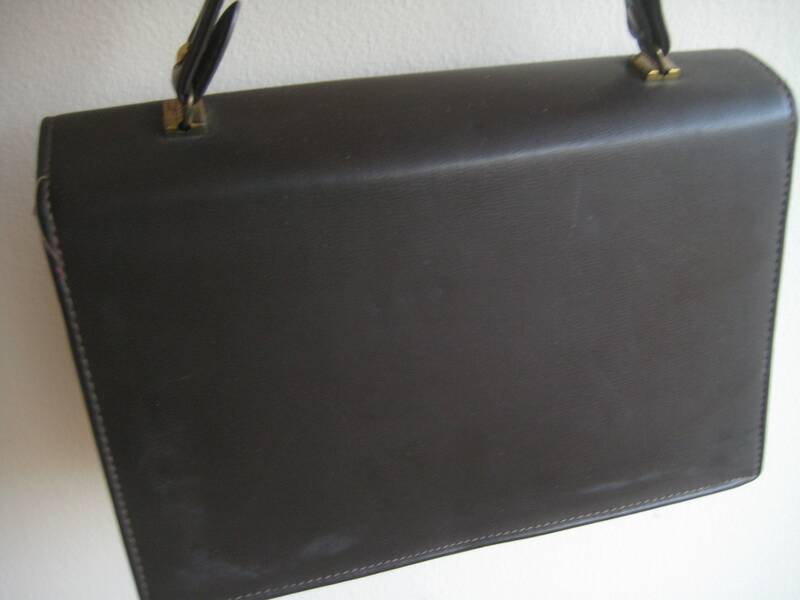 Very sharp faux leather vintage bag in basic brown, lots of room and fabulous style with the tortoise shell colored Lucite trim. 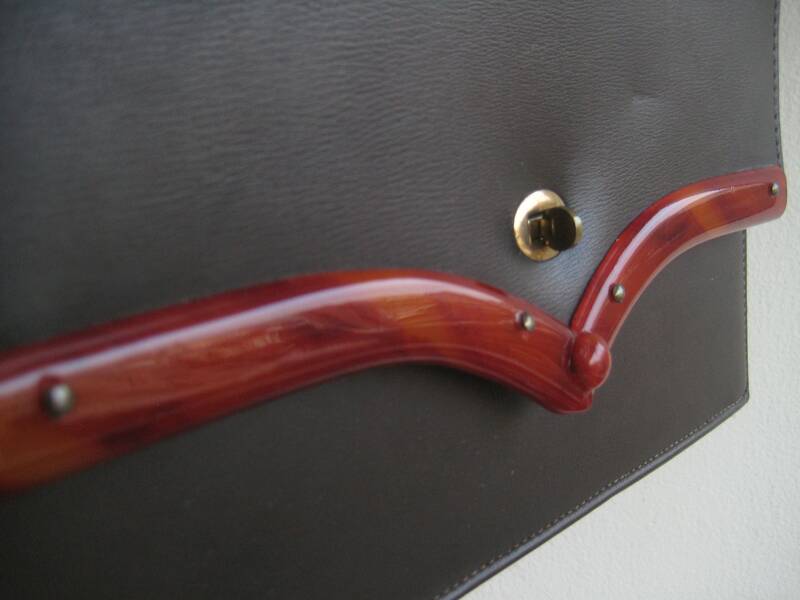 Faux leather handle with a 4.5 inch drop. 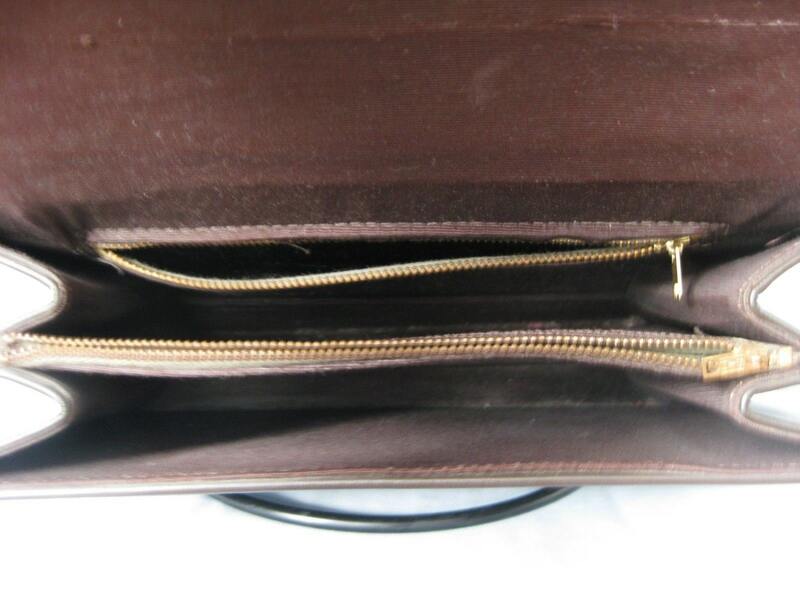 The purse has 2 main compartments inside plus a zippered middle section and a side zippered pocket. 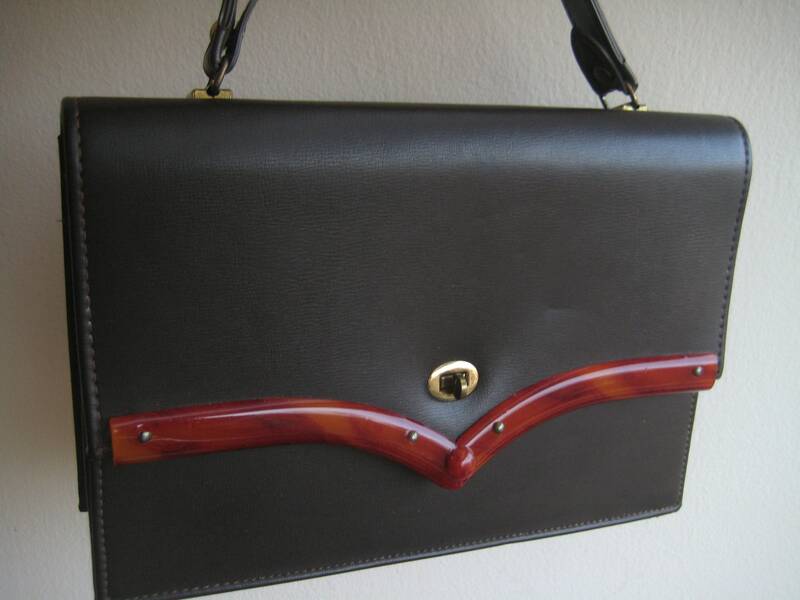 The lining is made of faille. Great workmanship. Super clean. Dimensions: 10 inches long x 6.75 inches tall x 3.5 inches wide at the bottom.